“Waiki`i Ranch Dust Samples Show No Depleted Uranium” is apparently receiving a skeptical response from local and international scientific experts, according to our friends at Malu `Aina on Hawai`i Island. 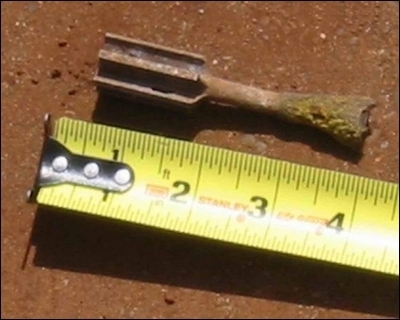 The report posted a “statistically insignificant” amount of depleted uranium (DU) in the community of Waiki`i, 8 – 10 miles downwind of Pohakuloa Training Area (PTA), where the Army admitted in 2006 to using DU spotting rounds for its Davy Crockett nuclear weapons system. The test is based on a sample taken by Waiki`i Ranch Depleted Uranium Project Manager, David Bigelow, and sent to a laboratory in England for analysis. Dr.Rosalie Bertell, PhD, remarks that the lab report “actually says that there IS DU in the sample. There should be zero. It is irrelevant that it is ‘not significant. '” Dr. Bertell — who has been honored by the U.N.as a statisticisn, epidemiologist, and member of the Science Advisory Board, International Joint Commission of the U. S. and Canada — goes on to say: “What you really want to know is whether or not the uranium found in the sample has been fired. This means electron spectroscopy.” Dr. Pang is also skeptical about the term “statiscally insignificant.” He claims that the laboratory’s reading of 1/100 DU, allowing for a measurement error of 1%, could mean the presence of 2% DU in the sample instead of its “zero” interpretation. Dr. Lorrin Pang, MD, MPH, comments: “it is hard to do statistics with a sample of one,” referring to the single dustpan sample depicted on the front page of the newspaper’s July 22 issue. Dr. Pang, speaking as private citizen, is retired from the Army Medical Corps, is on the Best Doctors of America list 2006-8, and a consultant to the World Health organization (WHO) since 1985. Russell Takata, state radiation chief, is also on record as questioning WRHOA’s methodology. To label tests a “bust” and conclude that “preliminary results find no health hazard” is simply not supported by fact. Closer to the truth is that we have been told little or nothing about whatever tests may have been conducted by the state or federal governments. Mr Takata refers to “preliminary reviews of about 90% of test results” but gives no data. What about the other 10%? The Army allegedly tested 800 dust samples, but these results have yet to be made available to the state or the public. All of this adds up to sweeping claims of safety, while providing no hard data to back them up. This has been a repeated pattern over the past several years: claims but no data. Hawaii County Council Passes Reso on DU: Clean ’em up first! Mahalo to friends/activists on the Big Island! Ho‘omaika‘i ia! And thanks to everyone who submitted testimony and responded to action alerts–the resolution on depleted uranium passed without bad amendments–you helped make it happen! 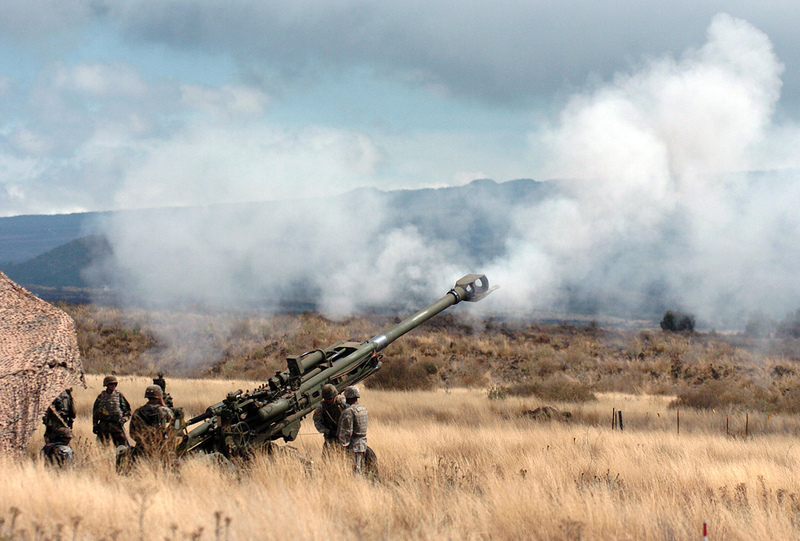 The council approved a resolution from Puna Councilwoman Emily Naeole that requests the U.S. Army to halt B-2 bombing missions and live firing exercises until it’s determined whether depleted uranium is present at the Pohakuloa Training Area. Although the resolution does not carry the power of law, the council spent more than six hours Wednesday discussing it and listening to testimony from numerous residents in favor of it. The council heard from Dr. Lorrin Pang with the state Department of Health who, speaking as a resident, painted a grim picture regarding the lack of information there is on DU levels on the island and the circumstantial evidence that depleted uranium may be responsible for a spike in new cancer cases. From 2000 through 2004, Pang said 444 new cancer cases were reported on the Big Island, which is more than new cases from the other Hawaiian Islands. 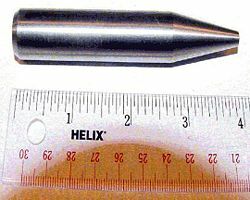 Depleted uranium was discovered at PTA in 2006, which originated from spotting rounds in Davy Crockett weapons systems tested in the 1960s. An amendment from Council Chairman Pete Hoffmann, Kohala, to remove language in the resolution that requests the military to halt bombing missions and live firing exercises was defeated in an 8-1 vote, with Hoffmann the only one to cast a favorable vote. Hoffmann, who served in the military for more than 28 years, said he agrees the country should not be in Iraq, but because that is the case, the request in question would lead to inadequate training. Other council members said the Army should find a different place to train until it’s determined if depleted uranium is causing problems for residents and military personnel. Army Col. Howard Killian told the council the military plans to have a citizen monitoring committee in place by the end of the month. South Kona Councilwoman Brenda Ford plans to introduce a resolution that requests Pang is placed on the committee as the council’s representative. 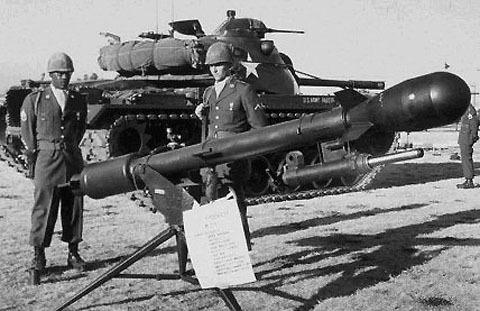 The military finally admitted in 2006 that depleted uranium (DU) spotting rounds for the Davy Crockett nuclear weapon system have been used at Schofield Barracks, the Pohakuloa Training Area, and possibly Makua Valley between 1962 and 1968. The U.S. military has an obligation to be candid with the public about its activities in Hawaii because they have far-reaching implications for our health and welfare. The people of Hawaii will be left to suffer the consequences of U.S. military activities long after they have moved on to other fronts. That is why we must be vigilant and demand answers to our questions: Have other DU spotting rounds and the more hazardous DU armor penetrating rounds been used as well? What don’t we know about existing military contamination? What should we know before we even begin to consider pending expansion of live fire activities? 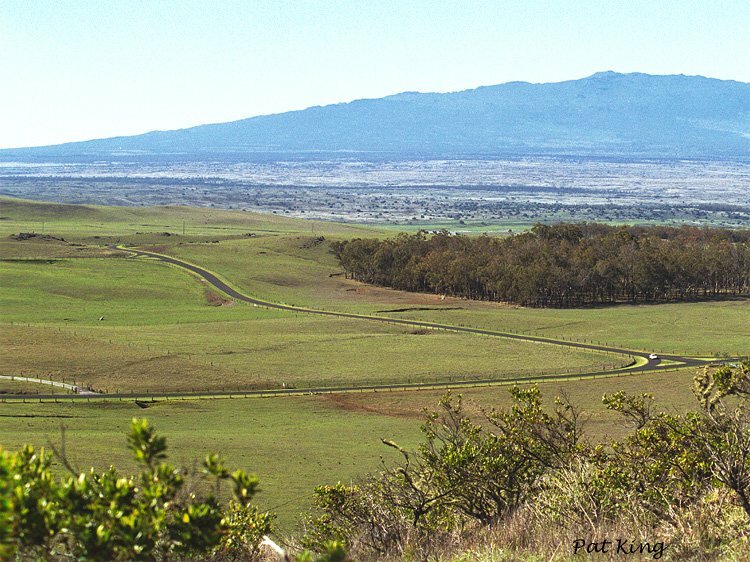 The Hawaii County Council will be hearing Resolution 639-08 Urging the U.S. Military to address the hazards of depleted uranium (DU) at the Pohakuloa Training Area (PTA). The hearing is set for Wednesday, July 2nd 8:30 AM at the Council room on the 2nd floor of the Hilo Ben Franklin building. You can support by submitting this letter to all Hawaii County council members, urging their support of resolution 639-08. 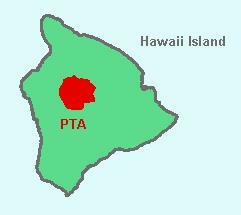 A growing number of people feel it is time to stop all live-fire and shut down PTA and get to the root of the problem. Stopping all live-fire at PTA is a key public safety and environmental conservation issue. Any live-fire training increases the risk of spreading the radiation contamination. There needs to be a thorough independent assessment and clean-up of the existing contamination before live-fire training can even be considered! Unfortunately, Council Chair Pete Hoffmann has already prepared an amendment to delete the call for a complete halt to all live firing at PTA which is the heart of the matter. Don’t let this happen! “… Just as smoking affects the primary user as well as those inhaling second hand smoke, the airborne products of DU burning remain suspended for long periods and travel great distances in the atmosphere. We do not know all the toxicity of the airborne DU products (nano-toxicity) but some forms (DU oxides) we do know can persist in the body for decades. When internalized DU emits the most dangerous type of radiation, alpha radiation. Animals with implanted alpha emitters have shown high cancer rates and birth defects – which can pass on to subsequent, UNEXPOSED generations.